Hezbollah leader blasts Saudi Arabia for launching airstrikes against Houthi rebels, saying it should lead a campaign against Israel. Hezbollah leader Hassan Nasrallah blasted Saudi Arabia for launching airstrikes against Houthi rebels in Yemen. Speaking in a televised speech, Nasrallah said the military campaign should be directed at Israel, not Yemen, adding that if the warplanes were directed towards Israel, Hezbollah would join in. “If the war was against Israel we would have been partners in the war but not if it’s against an Arab peoples,” Nasrallah said, according to the website of the Lebanese newspaper Daily Star. He denounced Saudi Arabia for leading a campaign against Yemen, but failing to take action against Israel over the decades-long conflict. “The Palestinian people are still calling on you,” he declared , noting that a large portion of the population among the Palestinian Arabs are Sunnis and yet their calls for assistance were not met by unified force likes of the coalition organized against the Houthis. Nasrallah rejected claims that Iran was threatening to intervene and control the region, as Turkish President Recep Tayyip Erdogan claimed on Thursday, saying they were “the biggest lie” and demanding “evidence that Yemen is occupied by Iran” to be presented. On Wednesday night, Saudi Arabia and a coalition of regional allies launched a military operation in Yemen against the Iranian-backed Houthi rebels threatening the government there. Iran has threatened that Saudi Arabia’s foray into Yemen would end up costing it dearly. 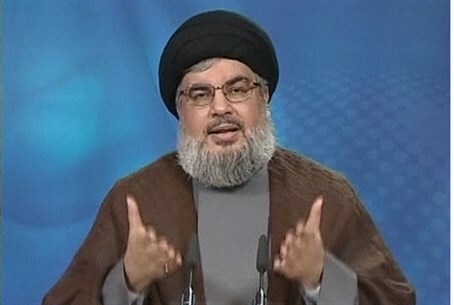 Nasrallah said that there is a problem in Saudi Arabia's mentality in that it doesn't respect the will of free peoples. They regard everyone as followers and they can't have an independent will, he added. Saudi Arabia’s “faulty policies” are opening up the region to Iranian influence. “You are pushing the people of the region to Iran,” he claimed, according to the Daily Star.